Explore the “hows and whys” of the world’s markets. Economics places you at the juncture of social science, business and social policy. This fascinating subject helps explain the behavior of individuals, groups and organizations. As an economics student, you will study how markets work to determine what is produced, how it is produced and how income is distributed. You will explore subjects like the role and impact of international trade, the effect of monopolies on the economy and the problems of unemployment and inflation. This work will help you develop a strong understanding of businesses, markets and financial organizations. This means that you’ll graduate prepared for careers in the private, public and academic sectors. Earn either a bachelor of science (B.S.) or a bachelor of arts (B.A.) degree in economics depending on your strengths in mathematics and quantitative skills (B.S.) or foreign language (B.A.). Two concentrations are available for either the B.S. or the B.A. economics major. Applied Economics enables students to apply economics and econometrics to the analysis of topical issues and policy options. Economic Theory and Econometrics provides a foundation of advanced economic theory and strong preparation for graduate studies in economics. 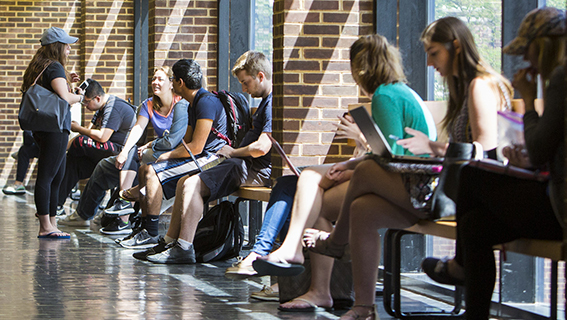 Economics research opportunities are available during the summer and academic year. Summer research programs are a very good stepping stone to a successful senior thesis or project. More details are available at the Undergraduate Research Program website. All requirements for the B.A. or B.S. in economics (B.A. in economics education). All of the University’s generic requirements for the honors baccalaureate degree. ECON 301 and ECON 303 must be taken in honors sections. Courses in economics at the 600-level or higher may be considered as Honors courses. 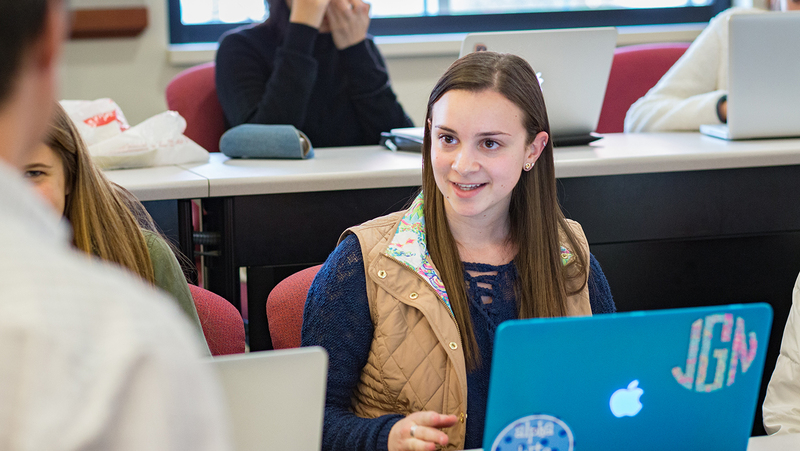 The economics major is a 120-credit-hour program with 30 credits of coursework in economics, six credits of statistics and nine credits of related work. B.A. degree students must earn a passing grade in an intermediate level course (107 or 112) offered by the Department of Foreign Languages and Literatures. Students with four or more years of high school work in a single foreign language may attempt to fulfill the requirement in that language by taking an exemption examination. B.S. degree students do not have a language requirement. B.S. majors are required to demonstrate proficiency in quantitative methods. This involves successfully completing 12 credit hours of coursework as outlined in the Undergraduate Catalog, including taking ECON 301, which uses calculus, as their intermediate-level course in microeconomics. Note: quantitative skills are an important part of more advanced study in economics, and several 400-level courses in economics require calculus. B.A. majors may take either ECON 300 or ECON 301. After graduating in 2017, 88% of Lerner’s B.S. economics graduates were employed (earning a median starting salary of $51,000) or pursuing further education, and 89% of Lerner’s B.A. economics graduates were employed (earning a median starting salary of $45,000) or pursuing further education. For more information on career resources please visit the Lerner Career Services Center. Visit the Career Outcomes of Lerner B.S. economics students and Career Outcomes of Lerner B.A. economics students to see more top employers, job titles, salaries and locations. If you have any questions about the major requirements, contact Professor Elizabeth Bayley, Undergraduate Program Advisor. Browse course descriptions (Select ECON as the subject).